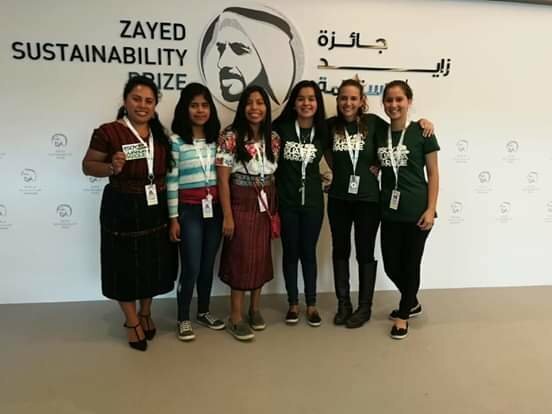 From January 14 to 19, 2019, two studets from the Mbaracayú Education Center (CEM) participated in the Sustainability Week in Abu Dhabi, United Arab Emirates. 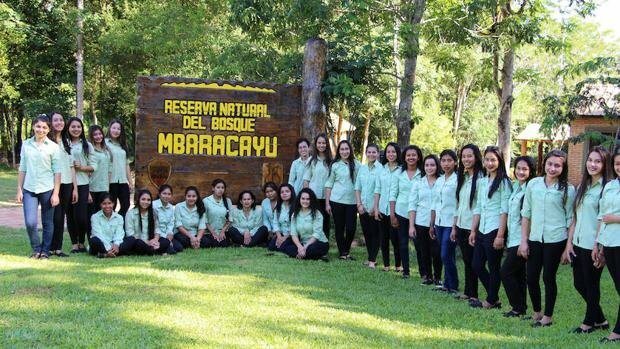 In 2018, the students of Mbaracayú Education Center were awarded the Zayed Sustainability Prize. During the Sustainability Week, students made a presentation about the progress of the winning project and shared lessons learned and recommendations for other schools. For the proposal, the students identified the deficiency in the supply of electricity and hot water as a need in the area. To solve this, the presented project addresses energy security through the installation of a system of thermal solar panels for electricity and hot water, as well as the installation of gravity lights that do not require an external power source. In addition, it is proposed to plant trees of the native species Kupa'y (diesel tree) in the community, whose resin can be used for the production of biodiesel that will feed the generator and tractors of the school. The aim is to raise awareness about the sustainable use of natural resources among the inhabitants of areas close to the school. 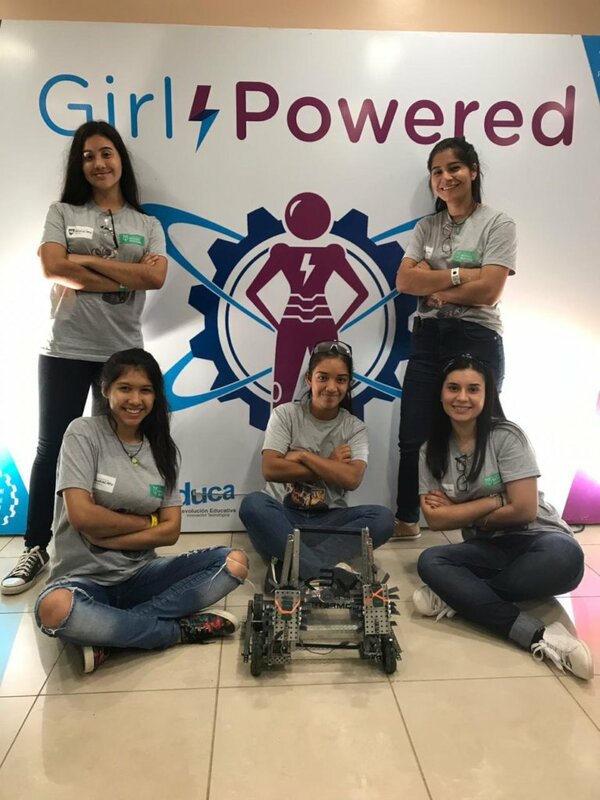 The students, Romina (15) and Jessica (17), along with the Project coordinator, were the only Paraguayan representatives in the event. 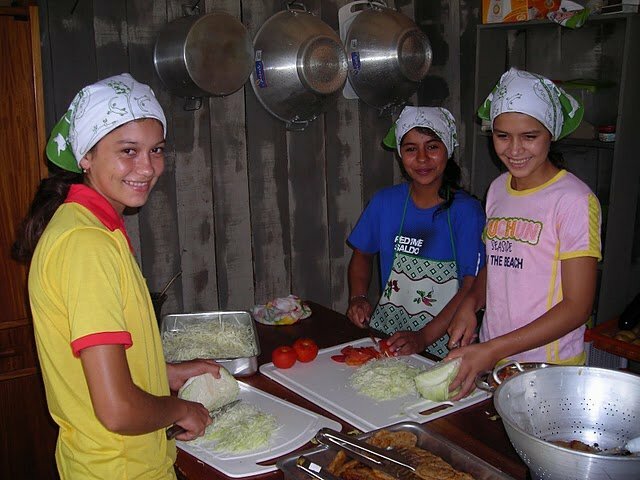 The Educational Center Mbaracayú (CEM) offers exciting opportunities for young women to break traditional gender stereotypes in Paraguay. 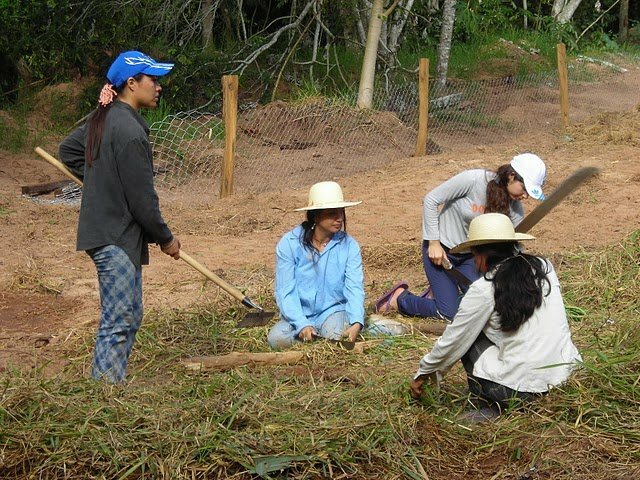 In a region where mostly men provide for the family through agriculture and employment, these ambitious young women are learning how to play the same game, and they are excelling. 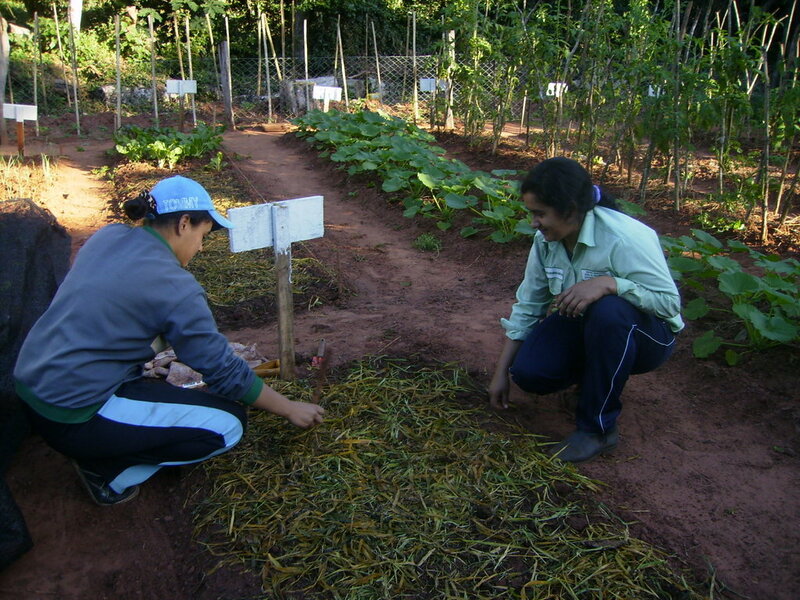 Young women who attend the school located in the Mbaracayú Natural Forest Reserve on the eastern side of Paraguay are learning valuable lessons in various industries not traditionally occupied by women. 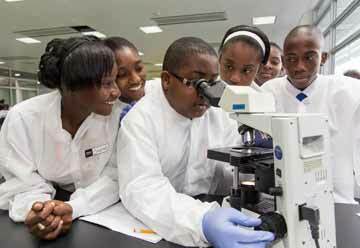 Specifically, the school trains these young women to be conservationists first; the students learn about environmental conservation, green energy and first aid for use deep in the forest or in their hometowns. 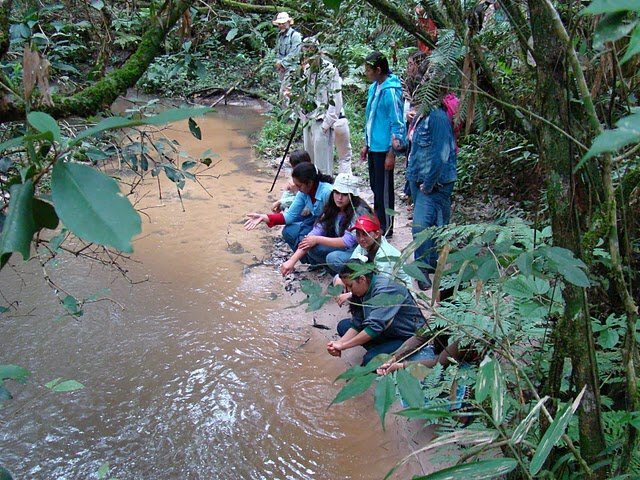 Fundación Moises Bertoni, the Paraguayan organization founded to improve the quality of life of people through the preservation of biodiversity, conservation of the environment and the promotion of sustainable development to benefit present and future generations, also administers the school. The main institutional protector of the Mbaracayú Natural Forest, Fundación Moises Bertoni has won many awards for conservation of the last large forest in Paraguay, including their recent win of the Global Prize for Biodiversity Conservation from BBVA Foundation. 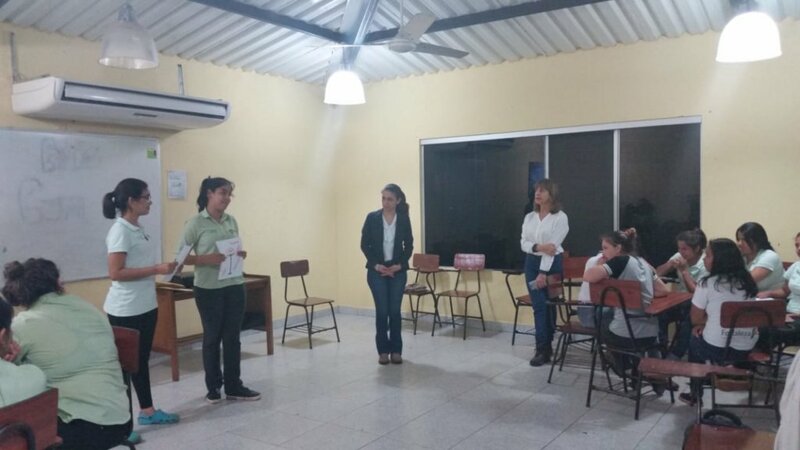 The students at CEM are directly benefitted by their location in Mbaracayú: they can participate in any conversations about biodiversity held by Fundación Moises Bertoni and the various partners that travel to the CEM for retreats, meetings, and even trainings of the students. The Red Cross visited recently to teach the students key tactics in basic first aid! 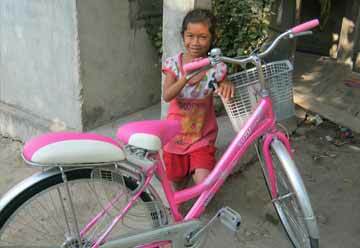 CEM provides innovative opportunities for girls to learn key skills they otherwise would not be a part of. 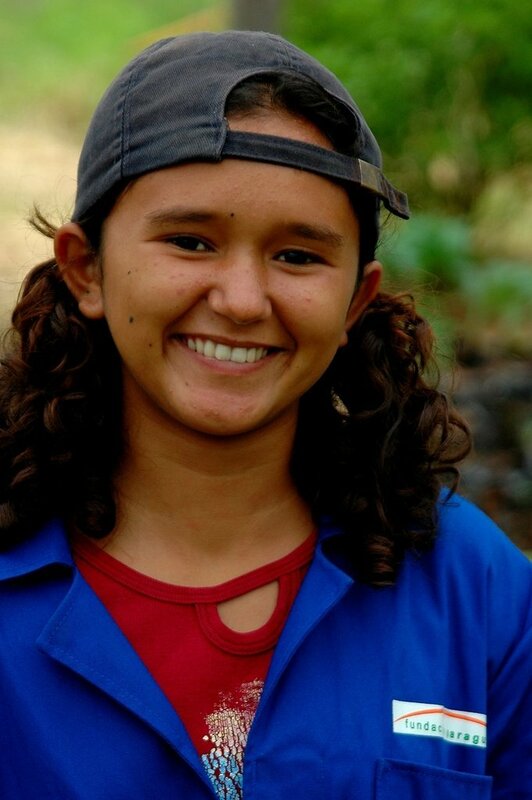 These skills help broaden their horizons of what is possible for girls, and their activities as young forest rangers helps to empower them and other women they encounter to understand what a woman can be capable of. The students of the Education Center at Mbaracayú (CEM) received a visit from GNB Bank. With staff members of the bank, the students learned financial management, discussed how to land their first job, and chatted about women's empowerment. Understanding these topics will help these young women to be successful once they finish school and graduate! We are so happy to have partners like GNB Bank that help these young women continue on their path to success! While still growing and learning, these students have already achieved incredible things! They study hard to receive their high school diploma while at the same time learning by doing at CEM, doing beekeeping, agriculture production, and tourism management at the incredible Mbaracayú Forest Reserve. 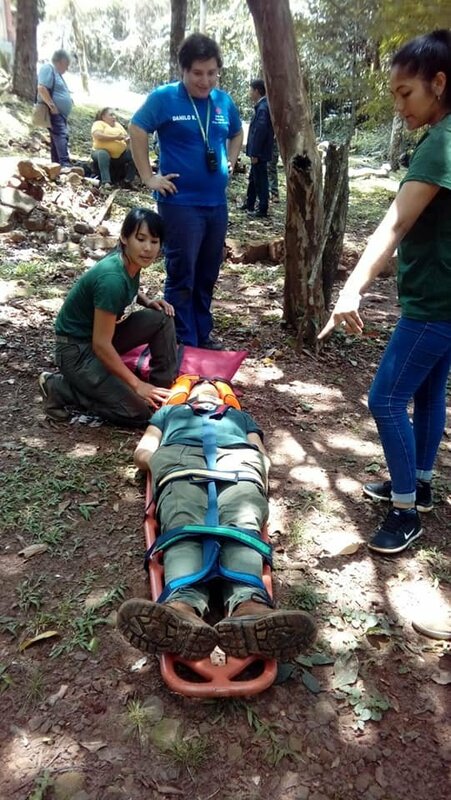 These women act as forest rangers, learning about the biodiversity of the forest and how to protect it, in a time where most all forest rangers are men! 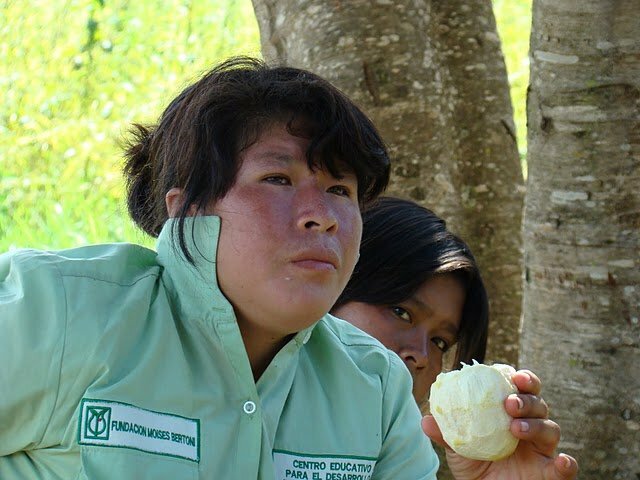 Many of these young women to become forest rangers in the reserve, or continue to university, or open their own businesses in their communities, empowered by what they have learned and experienced at CEM. 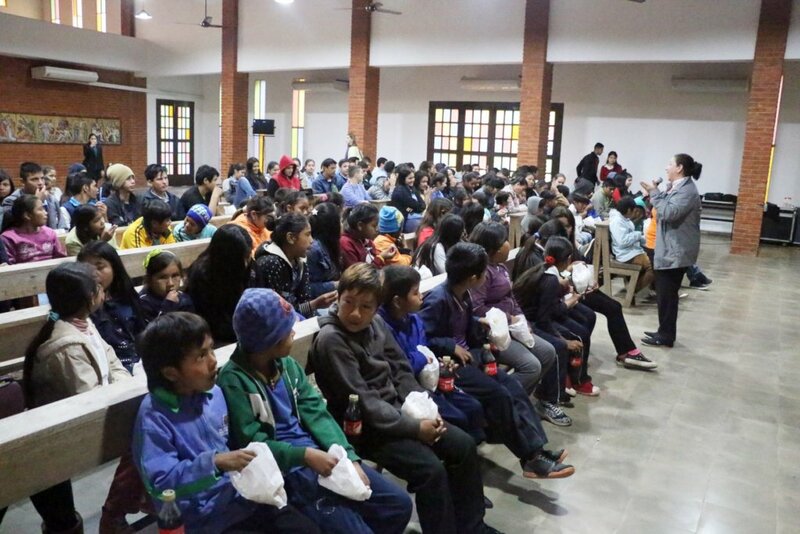 Students watch the documentary- with popcorn! 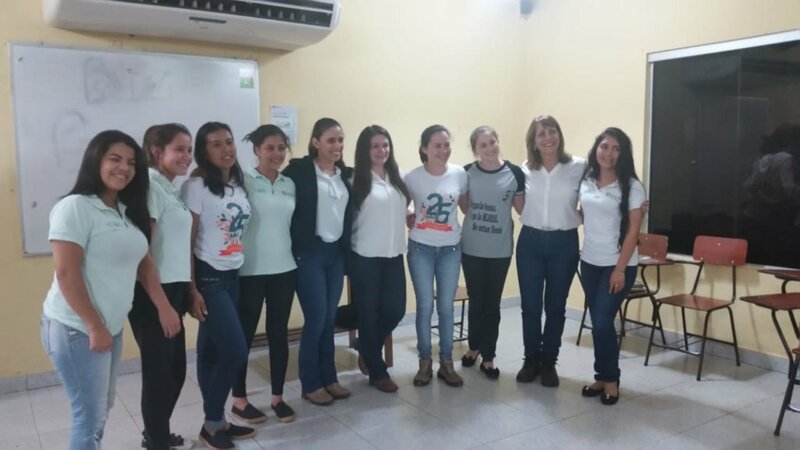 The documentary filmed at the Educational Center in Mbaracayú (CEM) is being shared across Paraguay through Fundación Paraguaya’s Poverty Stoplight Olympics program. The Poverty Stoplight Olympics challenges high school students across the country to work together to eliminate poverty in their communities, and it consists of challenges issued that pertain to certain indicators of poverty. This year’s challenges refer to the indicators for insurance, water use, electricity, and education, and one of the tasks is to watch the documentary, as it is being provided opensource for participating students. The documentary shows the opening of the school and the lives of some of the students as the learn by doing in a practical environment. 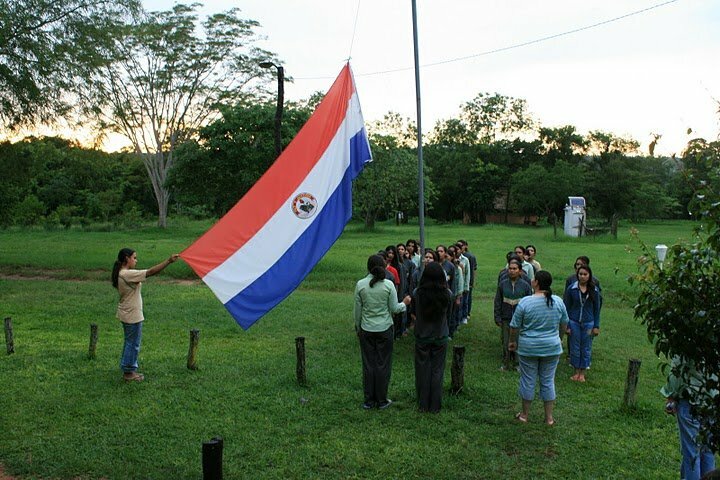 By viewing the documentary, students across Paraguay learn about the school model at Mbaracayú and are inspired by the stories presented by the students. It is exciting for the CEM students to get this kind of national exposure! 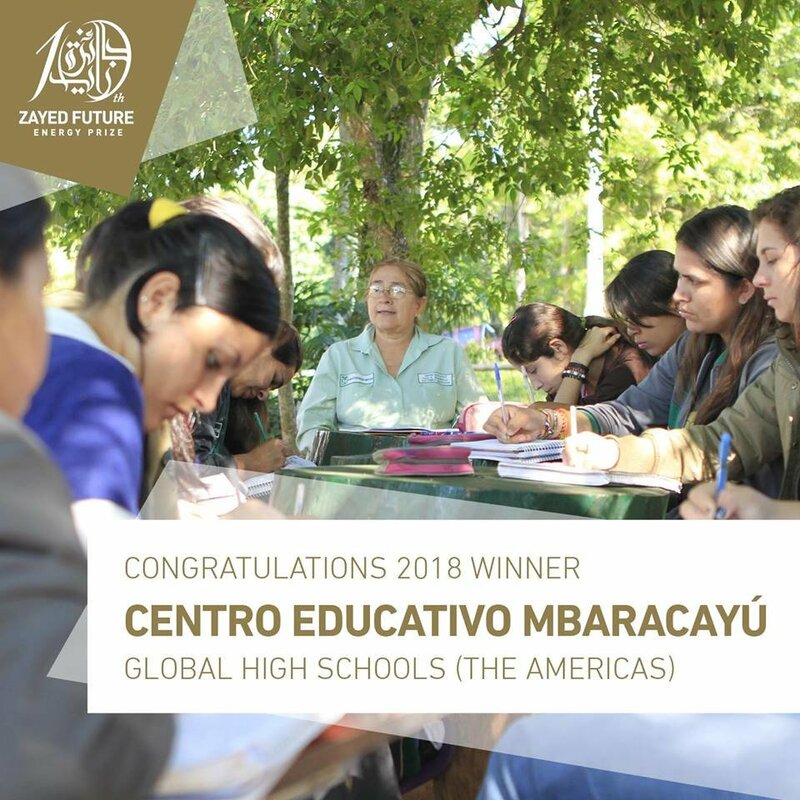 The Mbaracayú Educational Center was chosen as the winner of the tenth edition of the Zayed Future Energy Prize, in the United Arab Emirates (UAE), in the category of Global High Schools for the Americas region. The award ceremony was held on January 15 at 10:00 a.m. (local time) at the Abu Dhabi National Exhibition Center, located in the capital of the Arab country. 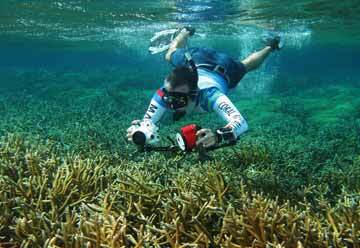 The award seeks to recognize innovators in renewable energy and sustainability. The contest is part of the vision of the UAE and its commitment to find solutions that respond to the challenges of climate change, energy security and the environment. 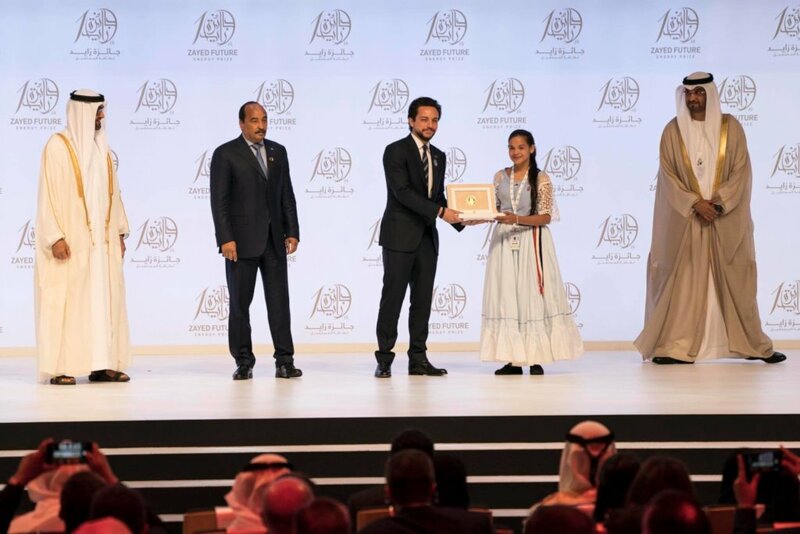 In ten years, the winners of the Zayed Future Energy Prize have had a positive impact on the lives of 307 million people around the world, according to the organization. For the proposal, the students identified the deficiency in the supply of electricity and hot water as a need in the area. To solve this, the presented project addresses energy security through the installation of a system of thermal solar panels for electricity and hot water, in addition to the assembly of gravity lights that do not require an external power source. In addition, it is proposed to plant trees of the native species Kupa'y (diesel tree) in the community, whose resin can be used for the production of biodiesel that will feed the generator and tractors of the school. The aim is to raise awareness about the sustainable use of natural resources among the inhabitants of areas close to the school. This includes a system of thermal solar panels that will provide 15,500 Kw of electricity and 51,500 Kw of hot water at 55 degrees Celsius. It also includes the elaboration of a comic and puppet show, which will be part of the outreach efforts to share the lessons of sustainability with other schools. 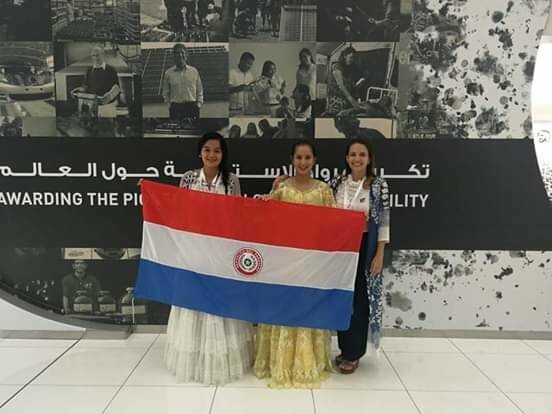 The young women who represented the school in Abu Dhabi are 16-year-old Analía, from the town of Guayaibí, Department of San Pedro; and 17-year-old Pamela, from the city of Ypehû, Department of Canindeyú. Both are in the third year of the Technical Bachelor in Environmental Sciences. Pamela was in charge of receiving the award during the award ceremony. 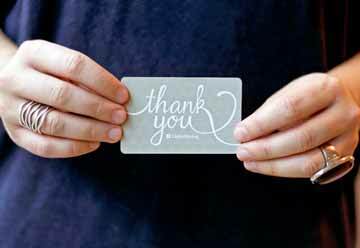 "I am very happy to have won the award, because this award is not just for me and my school, but for my community and my country," the student commented excitedly when thanking the organization of the contest. The students participated in the event wearing typical Paraguayan attire, as well as making presentations on the culture of our country. "We hope to know a lot about the Arab culture, and that they know about ours," said Pamela and Analía. They also participated in the Sustainability Week of Abu Dhabi, where they carried out various activities such as work tables, talks, conferences, among others.